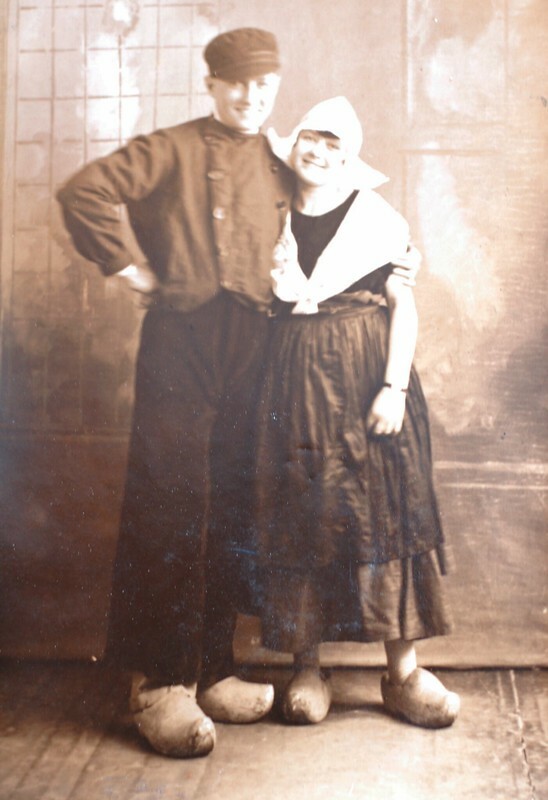 Although Joe lacked formal education, he had a "great native intelligence" according to my grandmother. He could take apart or put together any kind of machine, system or gadget. He made his living setting up textile mills which meant that my mom had to move often as a child. I never met my Grandpa Joe - he died many years before I was born - but he was often present in our house at breakfast time when my mom made "Grandpa Joe's eggs" for my brother and me. It was, and still is, one of my favorite ways to greet the morn. I've been surprised by the extent to which it pleases me that both of my boys love it, too. 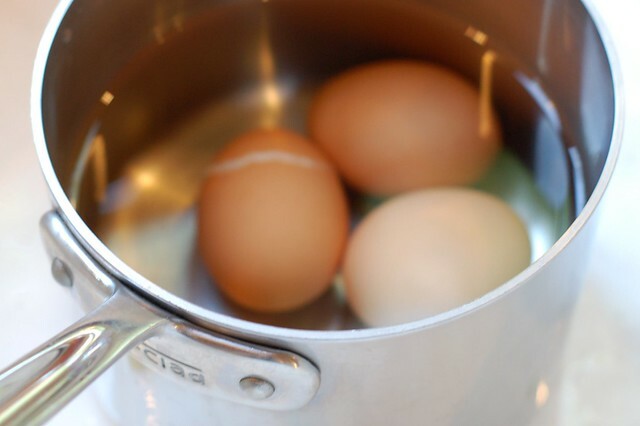 His creation is simple, hearty, and delicious--soft-boiled eggs broken over torn up pieces of buttered toast and seasoned liberally with salt and pepper. I always added plenty of dill to my bowl of Grandpa Joe's eggs, too. 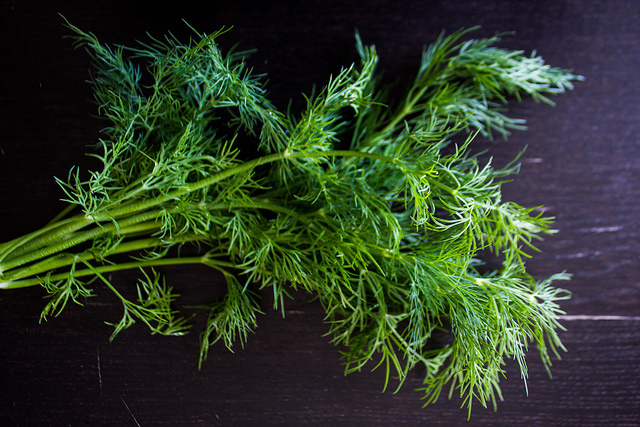 I was practically addicted to dried dill as a kid -- my mom would watch me pouring it on and jokingly ask if I'd like some eggs with my dill. 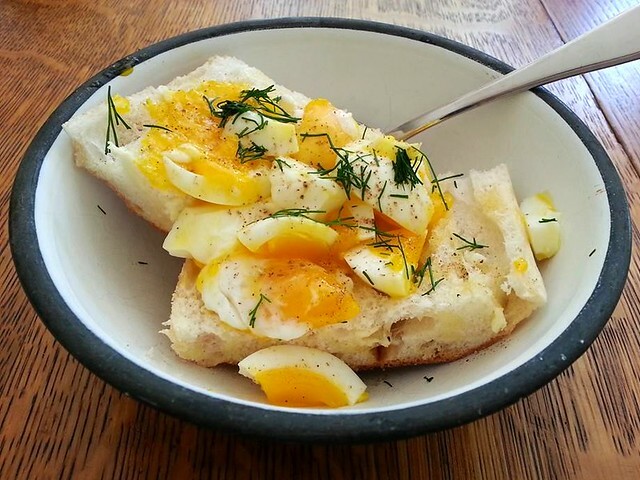 I still make Grandpa Joe's eggs when I feel like having something cozy and comforting for breakfast and I still like them best with a little dill (though I've switched from dried to fresh). Don't skimp on the butter. 3. Peel the eggs and use a spoon to cut them into 4-5 rough pieces over the toast. 4. Season with the salt, pepper, and dill to taste and toss to ensure even distribution of the spices. How does the soft- boiling work? You just throw the eggies in some boiling water for 5 or 6 minutes, and that's it? I want it. Sounds comforting. I'm drooling. And I've just eaten supper - Christmas Dinner in fact! I was looking for bread recipes, but I'm glad I came across this. 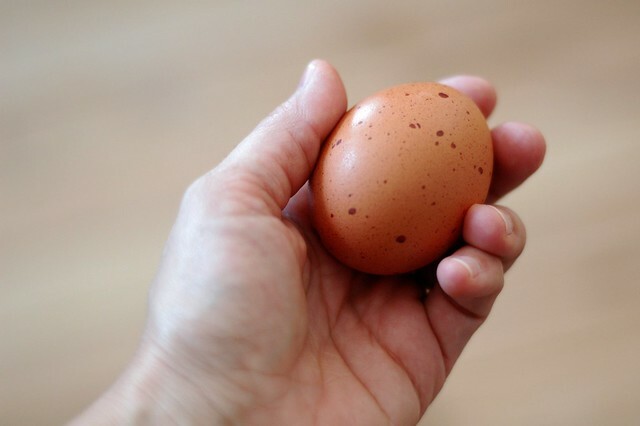 Grandpa Joe's great grand daughters often ask for these eggies for breakfast! Awww. how sweet to know that they love it, too. I'll have to make it for them all next time they visit.